Historically, I am pretty good at following through on my New Year's resolutions. It's mostly just a part of my personality. I am goal driven, and I choose things that are attainable. In 2015, I resolved to learn to shoot a gun. I had lived in a hunting friendly area near an Army base for the better part of two decades, I had only once touched a handgun (unloaded with safety on). My encounter was terrifying and brief. That year I experienced shooting a musket, a handgun, a semi-automatic rifle, and a fully automatic rifle in another all in one day, and I have never touched another gun since. In 2016, seven months pregnant and in the middle of moving to a new house, I resolved to make no resolution. This was probably my hardest to keep. At times I was desperate for a goal of my own to work toward, but I forced myself to stay in the moment in that first baby year. In 2017, I resolved to buy nothing new if I could find it used instead. Clothes, furniture, electronics, toys -- I was the queen of thrifting, hitting up seasonal consignment sales, checking Craigslist and Facebook Marketplace, going to garage sales. As a result, we paid off two smaller student loans. But for 2018, I have nothing but huge, gigantic goals, and not a single one feels more important than the others. Instead of one big resolution for the year, I am developing an entire list of things I would love to accomplish on a daily basis. I'm calling them my daily resolutions. Do you have a few lofty goals for 2018? Did you make a New Year's resolution? If so, I have news for you: you can be successful in achieving your goal. Your New Year's resolution does not have to fail. I have a strategy that might help. Have you ever heard of the psychological term "chunking'? Basically, it's a lot easier to remember larger things if you can break them down into smaller, more manageable chunks. For instance, the number "20124890" is a lot easier to memorize if you break it down into smaller chunks: "2012" "24" and "90." I have some big goals that I would love to work toward in 2018: write a book, be a more present parent who is not distracted by technology, live an active lifestyle, stick to a personal budget. These goals are absolutely monstrous. Impossible, even. And, I can't seem to pick which one is the most important for this year. By breaking my larger goals--like being more active, eating healthier, and being a more present parent--down into a daily list of goals, it makes them more attainable. For instance, did you know that people who make their bed in the morning are happier and get more done? (If you want to change the world, start off by making your bed.) And, you are also happier if you spend more time outside? Like me, I imagine that you probably have some lofty high hopes for this next year. There is probably a way that you could chunk that goal down to a daily, weekly, or monthly basis so that it's more attainable. Today is January 5, and I am pleased with my progress on my daily resolutions so far. I have been adding and subtracting a few things depending on my day (no, I did not spend an hour outside in the -10 degree weather), but these daily tasks have been fairly attainable for me. Overall, I think these will contribute toward succeeding in my other goals by having me focus on doing a little bit every day. For instance, by spending more time outside I am more likely to be more active, it's a great parenting decision for my preschool aged son, and a natural daily dose of vitamin d really improves my mood. I like to split this into a two chunks, 30 minutes each, in the morning and the afternoon, but sometimes I will split it up into even more chunks throughout the day. By keeping up with home maintenance in little ways, I won't feel as overwhelmed as daily cleaning piles up. When the house gets messy, it bothers me first, and I am the one who benefits most by keeping up with small daily chores. Getting on the floor and playing with my son is not only a way for us to bond, it allows me to be more creative. Play is important for adults too. Know what the best part about daily resolutions are? You start fresh each morning. It's been 5 days. Have you given up on your New Year's resolution?? Is there a way that you could chunk down your goal? Could daily resolutions help you achieve your goals in 2018? 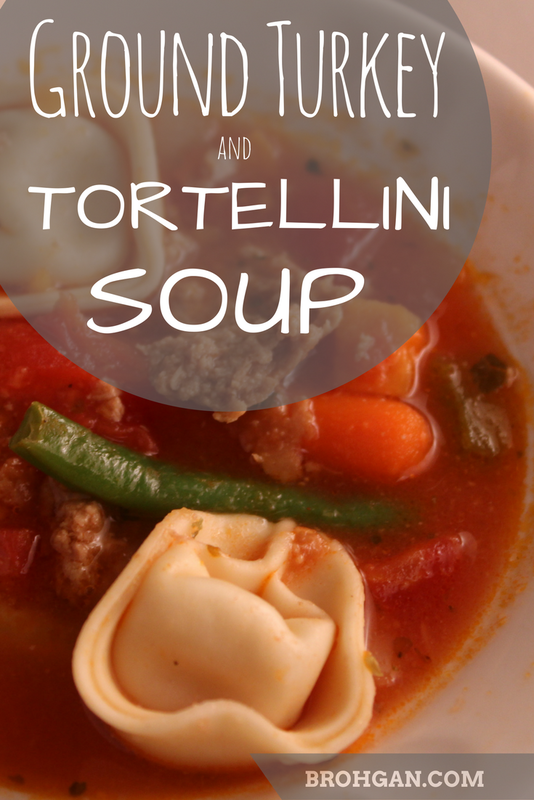 A versatile soup, great for busy families, made of ground turkey, tortellini pasta, vegetables, tomato, chicken broth. An American take on tortellini en brodo, an Italian soup traditionally served at Christmas. The saying goes "cold hands, warm heart." But, I really think there is probably a step missing in between those two things: a mug of something warm and tasty to hold to warm you from hand to heart. The best new recipe inspiration comes from practical real life experiences: when the weather took an unexpected cold turn this fall, I unfortunately only had dried beans, none pre-soaked. I wanted to make chili, but couldn't make my favorite chili without beans. I am a mom. I don't have time to run to the store and grab missing ingredients. Sometimes we just have to make do with what we already have. I looked over the contents of my fridge and pantry, and the idea for Turkey Tortellini Soup bubbled to life. Excuse me while I go reheat a bowl of leftover soup, because I can't stand not having some in front of me while writing this post... and, done. Browning the meat and chopping the vegetables takes the most time. But, shhh.... you can use frozen vegetables and canned tomatoes in a pinch!! That's right, just find an unseasoned mixed of chopped vegetables, even frozen onion, and add some canned tomatoes (I used a 28 oz can last time). Pair that with your ground turkey and some tortellini, and you will have a hearty soup ready in no time! Brown ground turkey in the bottom of a large stockpot. In the meantime, chop the vegetables. Cover with water, and stir to scrape up any ground turkey stuck to the bottom of the pan. Add the next 10 ingredients (everything besides tortellini) and simmer over a low heat for 15 minutes. Once vegetables have reached desired level of doneness, add tortellini, and cook until pasta is al dente (usually 2 minutes). Remove from heat, serve in bowls alone or with crackers or bread. Two player board games are a perfect Christmas present for parents of young kids. 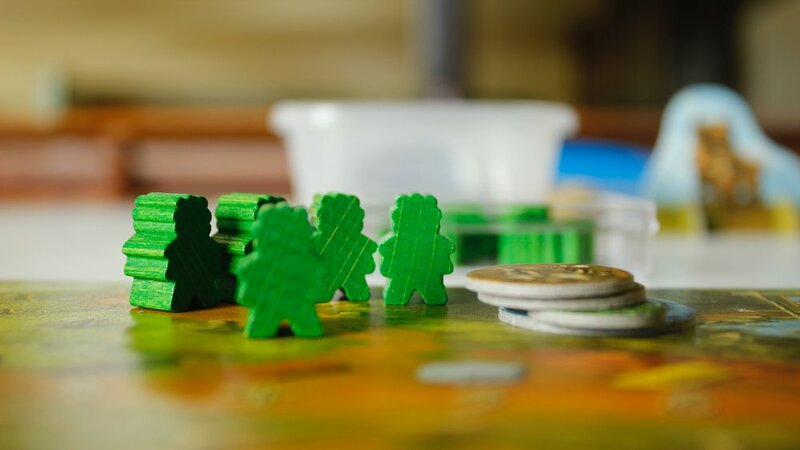 This list of board game suggestions are affordable, fun, and worth replaying again and again. Being a parent means that one thing is certainly true: you spend the majority of your evenings at home with children asleep. While every couple should continue to go out on regular dates through any life stage, it isn't always realistic to get a sitter, especially in the winter. Inclement weather and cold/flu season can undo the best date night plans with little warning. On a cozy night in, my husband and I pull out the two player board games! It's the perfect date night substitution! Our collection of two player board games has slowly grown over the years. We have now been married for eight and a half years, and almost every Christmas, birthday and anniversary has included a two player board game as a gift. We love these games! We like games that include strategy, but not so much that we can't wrap our minds around the game's concept at the end of a long day. While we are competing against each-other, we aren't always in direct competition, which keeps the mood fun and laid back. Most of them take less than an hour to play. Almost all of these games can accommodate more than two players! When our kids are old enough, they can join in the fun. When we have guests over, we often open the cabinet and pull out a game. This game is our favorite! One tile at a time, taking turns, you build an entire map! You lay down cities, roads, monasteries, and fields with a strategy to score as many points as possible. You don't know your score until the very end, so the competition is there, but it's still casual. Adam and I are competitive people who both enjoy winning, but this game keeps the competition casual and fun. Expansion packs have been a fun anniversary gift to give to each other over the years, and in addition to the original set, we also use the Inns and Cathedrals and Traders and Builders expansion sets, The River (which is included in newer editions of the original game but wasn't at the time when we purchased ours), and some of our favorite tiles come from the mini expansion sets. Over the years, with our specific expansions added, our Carcassonne game has become something that is very unique and specialized to our family. You can also buy the entire Carcassone game with all the expansions at the same time for a fair price. You really can't argue against almost two thousand five star reviews on Amazon. In Codenames, you give one word clues to identify hidden "agents" in the cards on the table. This game is absolutely great with two people and with a bigger group, which is awesome! While it's not necessary to have a separate edition to play with two players, Codenames: Duets has been released recently, and it offers a new cooperative gameplay option for two players (and also still works for a party). "You are a monarch, like your parents before you. Unlike your parents, however, you have hopes and dreams. You want a bigger and more pleasant kingdom, with more rivers and a wider variety of trees. You want a Dominion. In all directions lie fiefs, freeholds, and feodum. All are small bits of land, controlled by petty lords and verging on anarchy. You will bring civilization to these people, uniting them under your banner. But wait. It must be something in the air, several other monarchs have had the exact same idea. You must race to get as much of the unclaimed land as possible, fending them off along the way." We love this game! We were actually pretty obsessed with it for a while when we first were gifted it. I actually own the first edition of Dominion, but the second edition has streamlined rules, and that seems like a big improvement. Dominion has plenty of expansions, and you can customize it to your taste! We haven't explored this yet, but we've come close to buying expansions many times. Highly recommend! Join a team of fearless adventurers on a do-or-die mission to capture four sacred treasures from the ruins of this perilous paradise. If you are looking for bang for your buck, this is it! This game is very easy on your Christmas budget, but we have always enjoyed playing it. Forbidden Dessert is very similar. Both have received terrific reviews on Amazon. My only complaint is that the replay value isn't great; it gets a little repetitive, and we will put it away for a few months or a year before we play it again. For the money, though, you really can't go wrong. I'll play this with anyone who is willing, but my husband refuses to play anymore. (I always win.) This game was nice because it's very compact. I could carry it in my wallet. And, if I remember correctly, it was fairly easy to learn. The rules read like a fairytale storybook: the Princess has locked herself in the palace, and you must rely on messengers to give her love letters. Love Letter is a game of risk, deduction, and luck, for 2–4 players. Get your love letter into Princess Annette’s hands while keeping other players’ letters away. The Batman edition of this game looks really fun too! I have to admit, I don't actually own this game, and I have never played it with my husband. But, this was the first two player board game I ever played. My brother and I were completely obsessed with it for a summer. I'm going to have to comb my parent's game closet during Christmas, because I would love to play it again this month! I have to admit, I saw this game on shelves at Target for a long time before I owned it, and I expected it to be a little over-hyped. I was wrong. This is really fun with a big group, but we also really enjoy it at home with two players! Each time we play it, it's a little bit different. I'm saving the absolute best for last on this list, but it's also by far the most expensive. They have improved the manufacturing process, and it has come down in price over the years, but it is still one of the most expensive games on this list. And, in our opinion, it was worth it! Each time we play this game, it's very different. The strategy changes from game to game. It takes time to figure out how to play, and it takes at least an hour to get through, but we have always ended feeling very satisfied. A game for 1-4 players ages 12 and up; play time is 30 minutes per player. Amazing replay value! I have an ongoing list of 2 player games that I have never played. If anyone would like to get me these for Christmas, I would not be upset! We're really not too picky, but there are just a couple of games that we probably won't reach for in the game cabinet unless someone else is asking to play it. Pandemic -- our biggest beef with this game is that we have NEVER won! Because of that, we always end feeling a little the world is about the end and it's our faults. Rivals for Catan -- we borrowed this from a friend and brought this on vacation once, but it just really made us miss our games at home. If I'm in a mood for Catan (which requires at least 3 players) and I don't 'have a big enough crowd, there's an ipad app that I enjoy more than this game. This post contains affiliate links but only for things I have used and love. This means that at no added cost to you, I get a small percentage of every sale. I do not endorse anything that I myself would not use. You can view my full disclosure policy here. Thank you. One Sunday, I chose to bring my cranky older baby into church. He was feeling clingy and getting a tooth. I knew him well enough to know that there was no way he'd last more than 10 minutes in the church nursery before I was paged to pick him up. I knew this because I had been paged 10 minutes after dropping him off in the very crowded nursery for the last 4 Sundays, and this was the worst mood yet. As we walked in before the service started, he was already fighting my grip and monopolizing the noise in the room. After being up with him the night before, we had overslept and were attending the busiest late-afternoon service. We live in a college town, and we felt like the oldest (and youngest) people in the room. Once the music kicked up and the lights dimmed, that was it: my son started wailing. He and I found ourselves out in hall within minutes, me feeling a little ostracized, him feeling relieved. We never made it back in. After getting everyone dressed, fed, and out the door, I attended church for less than 5 minutes that week. After a long week of not enough sleep and not enough adult interaction, an intense hour of parenting out in the lobby is not where I wanted to find myself that Sunday morning. I was left feeling torn between worshiping in the way I wanted to be and fulfilling my part in the role God chose for my life. It was a little embarrassing. I would stand there in the lobby holding my screaming child and watch as a dozen kids the same age as mine went happily into the nursery while their moms freely walked away. In that situation, you can't help but wonder what the heck you are doing wrong. Looking back on it, I realize that my own expectations for smooth Sunday mornings were more selfish than anything. I had a serious heart problem: I was much more concerned about how I might escape my difficult parenting reality for an hour than I was about worshiping God in church. God really caught my attention out there in the hall. He taught me quietly with a lot of grace, and I learned a lot. After weeks (months?) of he worst attitude I could possibly have in this situation, the first thing I learned was that God had specifically placed me in the hallway and not in the seats. He gave me this child. He called me into motherhood. This was my place to flourish or fail. That knowledge did not make me feel warm and fuzzy, but it did provide some much needed prospective on the situation. I lowered my self-centered expectations for Sunday mornings, and, since I was an absolute mess, I asked for help. I didn't want to ask for help, because I'm proud, but once I started talking about it, I ended up asking everyone I could think of: my husband, my mother, my father, my grandmother, my cousins, my life group, other Christian moms, friends who are paster's wives, and the nursery volunteers. It was amazing how many of the godly women I admired had spent a year of Sundays in hallways, or more. I collected stories and advice. We traded survival tips. And, best of all, some of these precious people offered practical help; sometimes I stayed in the lobby for the songs, and my husband or my mom traded with me for the sermon. This clingy phase lasted for a year of Sundays. I admit, sometimes I passed off my child to the nursery workers kicking and screaming just to experience a song or two alone before getting paged to pick him up. This tactic never worked for us, but I am ok that we tried it. My was just anxious and needed his mom, and that's ok, but it was also ok to stretch his world a little. Also, on these weeks, I would often come back and stay and play with him until he was no longer feeling anxious and afraid. Some weeks, we streamed our church service online from home. We did this when someone was sick or when nobody in the house had slept. Our church started a live streaming service just about the same time my son was born, and the timing for our family could not have been more convenient. When it comes to spiritual nourishment, it's ok to think outside the box sometimes! In the end, the lobby wasn't a bad place to spend a year of Sundays. I learned a lot in that place. First, it's a really good place to pray. The hall is active yet quiet. As a parent, you're primarily guiding how your child spends the time while allowing your little one to be him- or herself. Maybe you're nursing or cuddling or handing out toys. But, you're not doing much talking in the hall other than directing interest away from minor hazards (like an uncovered outlet or the stairs) and toward a better choice. In those moments when you're parenting on autopilot, pray. Maybe try the oil and vinegar approach? If there's bitterness there, I tried to confront it first, and I think confronting it helped improve my attitude during that time. It's a place to reach out. This is the place where I asked for help in my spiritual walk. If Sunday morning parenting is wearing on you week after week, and you're struggling to grow and thrive in this chapter, you're never alone. There's moms on either side of you that have been there. They have walked this road, and they know the way. Start by opening up about your struggle. Talk to your family, your friends. Join a new MOPS group or women's Bible study. This is a new chapter, after all, and it comes with a steep learning curve. Don't be afraid to reach for new forms of support, especially from other moms. It's scary at first, but it might end up being exactly what you need. What did I do? I got plugged in! I joined my church's MOPS, and I made new Christian mom friends. Another friend and I get out our strollers and walk and talk through some tough accountability questions on Thursdays. Also, a group of us meet monthly, just the moms, and no kids allowed (unless... well... it happened sometimes). If you're struggling and don't know where to start to build this community around yourself, please feel welcome to reach out to me personally. We might be able to come up with some new ideas together. It's a place to gain perspective. When I'm being a grouch because my life is so hard, bumping into someone whose life is way harder stops my negative thoughts every time. There is always someone dealing with something bigger and harder than my own struggles, and I need to look past my own life to gain perspective. In fact, some of the people reading this are probably struggling much more than I have been. For instance, I've met people who are primary caretakers in other situations, not just babies and toddlers. My time in the hall might be a couple of years, while others time in the hall might be a significant portion of a lifetime. I have also yet to spend time in the hall without running into someone who has been openly struggling with infertility or infant loss. Pay attention to the people around you, smile, and try empathize with the fact that we all have struggles in our lives. Even if they are not a mom of littles, nobody's road is easy on this side of heaven. It's a place to consider giving back in a new way. If your church's volunteers are looking like they could use a little help, this might be a good time. Nursery, greeting, coffee bar. Think about what opportunities might be open to you in this stage of life and whether they are a good decision. Read your Bible. Try opening to a Psalm and reading a verse at a time in the cracks. Even if it is only a single verse, meditate on it while completing your tasks throughout the day. Read a book by a Christian author you respect and trust. Nap time, bedtime, or an audiobook might be your best chance. Sometimes, I like to read on my Kindle app while rocking my son to sleep. There are dozens of church options online now. Here is where to find 250 free sermons from Redeemer Presbyterian Church that come highly recommended. I also like to listen to the Truth for Life podcast by Allister Begg. Nothing soothes my the mom-tude like a playlist. But, since I've spent a year's worth of Sundays out in the hall, I asked my tribe to help me with this. Here's a playlist of worship songs that they suggested for YOU, the mama who spent Sunday in the hallway, and me too. When people come together to encourage and help each other out, it's powerful stuff. Want to know the secret that finally worked on a peaceful transition to the church nursery? Playing with my son with toys in the nursery for a few minutes before quietly slipping out the door while he wasn't paying attention. Will it work for you too? I have no idea, but might be worth a try? Are you finding yourself frustrated in other areas in this chapter of life, such trying to provide your family with healthy snack and meal options? 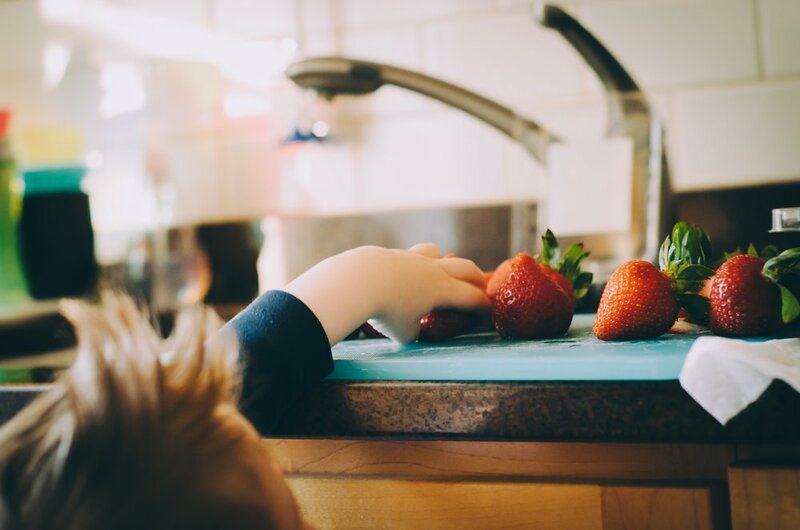 I write a weekly newsletter to help moms tackle the small stuff around the house, like meal planning, quickly and efficiently so that they can have more time to savor what matters: time with the people who sit around your kitchen table. If you are left wishing you could have done more--provided healthier food, saved more money at the grocery store, spent more time allowing yourself to be creative in this mom life--join me! you are 60 Seconds away from Inspiration in the Kitchen. Click the banner below or subscribe to my weekly e-mail to learn more. As a woman, I wear many hats. Maybe you feel this way as well? I am a wife. I am a mother. I am a daughter. I am a sister. I am a friend. I am a Christian. I am a member of my community and my church. I am a volunteer. I am an entrepreneur and the only employee in my business (yes, blogging is a business). Also, I am myself, the sole person in charge of expressing and caring for my own needs. Each hat comes with its own set of responsibilities. For instance, I eat fruits and vegetables. I pray. I read. I jog. I have deep, meaningful conversations. I prioritize sleep. I do laundry. I clean. I cook. I write. But, it's like my friend always says, you can really only do one thing well at a time. I always choose your top priority for the moment, even when I'm not consciously doing it. Just like I can't text someone and drive a car at the same time, I can't maintain a perfectly clean home and take time to get down and play with my son on the floor at the same time. It just isn't possible. In the same way, I can't work long hours and have a regular date night with my spouse. Choosing my top priority for the moment bleeds into every decision, even when I'm not aware that it's happening. If I'm eating well, I'm simultaneously struggling with exercising. If I'm sticking to the budget and monitoring every penny, I'm stress binging on Netflix at every given opportunity. If I'm exposing my son to lots of playdates and educational experiences, I'm simultaneously neglecting to clean out the fridge. Life as a mom is a difficult balance, and perfection is not an option. Believe me, I've tried. There's a cost to every action. Sometimes the cost is small, but other times it is absolutely gigantic. When it all boils down, I don't want to be wasting my life on maintaining house and home, or even cooking (which is a favorite creative outlet of mine). I want to be pouring my life into my people to the best of my ability. I want to be the best woman I can be. I want my husband and son to know exactly how much I love him, not a guess, but to actually know because I took the time to remind them every day. I want to be the type of person to drop everything and just show up when someone needs me to. I want my home to be a safe and welcome place. I want neighbors to feel comfortable knocking on my door. I want to draw nearer to God, because I know He listens and draws nearer to me. I want to savor the stuff in life that really matters and to just maintain the responsibilities that don't matter as much. I want lasting impact, not temporary impact. I want to be present while my son plays in a patch of sunshine on the floor without guilt about what needs to be done. Easier said than done, ha. And I absolutely don't want to be spending my life doing the housework, cooking and cleaning... unless the heart and soul of doing it is to show how much I love and respect the people who live here too. And, that last point is exactly where it gets a little fuzzy for me sometimes. I crave clarity on how to maintain a loving home, both relationally and physically. I want to love my family in the best way possible. Sometimes that means doing chores. Sometimes, that means ignoring chores. At any given moment, I have to choose my top priority. And, for me, that also means that I have to have a system in place to maintain my lower priorities while I'm focusing on what's most important that moment. Here are a few things that are rarely top priority for the day but still desperately need to be taken care of daily. Here is my system for cleaning the house, which prioritizes resting on Sunday. I've found that when I don't take a day off from these chores, I get behind on housework. Or even worse, I get too wrapped up in doing them perfectly. By setting aside a day to rest and NOT DO CHORES (wooohooo! ), I am more motivated to get them done throughout the week. It doesn't always go perfectly smoothly, but that's ok. If the last week (or month) has been rough, I just try again the next week. I have written extensively about my meal planning strategy and my pre-made grocery list. Meal planning is an established routine for me now, but that certainly wasn't always true. There was a time early in my marriage when I would buy all the wrong things at the grocery store in an attempt to try new recipes and please my husband just to have those ingredients slowly go bad while I ran back to the store almost daily for quicker dinner options. By the time my son was born seven years later, I was desperate to be able to maintain a healthy, frugal lifestyle without spending a lot of time shopping or cooking. I've learned some of these kitchen and cooking tips the hard way, and I am still learning. A few years ago, my husband and I took a financial planning course together, and it was very eye opening for us. We have found that it's best to make all of our financial decisions together. It takes time to write out a budget and to use a cash system, but it is well worth it. We have time scheduled on the calendar and reminders on our phones set up ahead of time. It's good to have a system in place to keep this habit from falling to the wayside. Someone told me this over the cries of my screaming newborn: "everything about motherhood is spiritual." When you spend your days (and nights!) caring for littles, your own heart is filled and emptied and refilled moment by moment. But, there are chapters in mom life that writing long entries into prayer journals and keeping up with a Bible reading plan is just not possible. And, that's ok. God put you in this exact place. When doing more is just not possible, finding little cracks of time to reading a single verse is enough. Praying in your head while you put your child to bed is enough. Listening to worship music and letting the praise bleed into your actions is enough. It helped me to have certain triggers to remind me to spend time with God. For instance, during the quiet of nursing during the night, I prayed and read. While in the car, I sang worship songs. A friend teaches Bible stories to her pre-schooler during bath time. Life is always busy, but I've found that by pairing my time with God with a daily activity, it reminds me to be present and aware of His benevolence. After becoming a mom, I've learned that I have to allow myself to accept the same grace God extends to me. Sometimes, I fail. Actually, it happens daily. I choose wrong. I get wrapped up in a project and get resentful when nap time is suddenly over. I get impatient when people interrupt me while I'm trying to get things done, even if they're low priority. I forget God. And in the midst of wrestling with pangs of guilt, I have to clean the slate and start that day anew. It's the only way to move forward. Are you struggling with clarity on how to maintain a loving home too? Join me on this journey. We can navigate this together in tandem. I write new content each week. Sign up here to receive notification of new content and the weekly newsletter, which includes a meal plan for the week and list of encouraging reads. As a new subscriber, you will receive access to the Inspiration for the Kitchen bundle. This includes a dinnertime brainstorming video for more meaningful meals, a free cookbook including retired and never published recipes, and inspirational printables for your mom heart to display in the kitchen. Everything I send you will always have one thing in mind: to savor what matters. Get the Inspiration for your Kitchen bundle! Every time my toddler slips into a grouchy mood, I hear myself remind him that he can choose to be happy and have fun or he can choose to be grouchy and have a bad time. It's a choice. I pull him into my lap and remind him of this a couple of times a week. I hear myself say it, but I don't know why it didn't dawn on me earlier: this exact advice applies to my life as well. Cooking is something I genuinely enjoy doing, but in the last few weeks, it has definitely felt like a chore. Spending time in the kitchen is inevitable as a mom. I can choose. Am I going to have a good attitude about it, or am I going to be grouchy and have a bad time? I have a 31 Challenge for myself: have fun in the kitchen every day in October. I will be posting the results on Instagram as I go! Use the hashtag #funinthekitchen to join in or follow along this month! This is a recipe that keeps on giving. Do you ever feel the need to give a friend a freezer meal? Maybe they just had a baby? Or, they're recovering from surgery? Or, they're just having a hard time? Or, when you sense a busy season of life ahead, do you wish to stock up your freezer with a few extra meals, but struggle to find the time? There is a reason this is the perfect recipe: it is two huge, family sized meals in one easy recipe! Just toss the sauce in the crock pot over lunch, and you're only a couple of quick and easy steps away that evening from dinner for that night PLUS a bonus meal to stick in the freezer for later or share! Even better, there's no chopping involved! It's a wonderful recipe to have in your back pocket in preparation for the holidays! I chose an Italian mixture for my frozen veggies. It contained zucchini, yellow squash, carrots, cauliflower, and broccoli. You can also easily use any fresh veggies that you may have in your refrigerator. I chose to use frozen to save time, but fresh would also be very tasty! These instructions are for 1 dinner to enjoy immediately and 1 dinner to freeze for later. Add first 10 ingredients (veggies through bouillon) to a 3 quart or larger crockpot, and cook on low for 4-5 hours. After veggie sauce has cooked 4-5 hours, prepare spaghetti per package instructions. Drain, and drizzle with parsley and olive oil. Mix well until parsley is distributed. Combine mozzarella cheese and swiss cheese in a bowl. Set aside. Place half of the spaghetti in a foil-lined 9x13 inch pan (or disposable foil pan). Cover spaghetti with half of the veggie sauce from crockpot. Top with half of cheese mixture (1 1/2 cups). Cover with foil, refrigerate overnight. After removing half of sauce, stir the remaining pound cooked spaghetti into the remaining sauce in crockpot. Top with remaining 1 1/2 cups of cheese mixture. Cook in crockpot on low until the cheese is completely melted. Serve immediately. The next morning, transfer the foil package from the 9x13 inch pan (or entire disposable pan) into a large 2.5 galleon freezer bag. Write recipe name, date, and cooking instructions on bag. Store in freezer for up to 3 months. When the winds begin to blow a little cooler, we know football season is near. We have been looking forward to football season all year! "Football" was one of my son's first words, and for a long time, it was the only thing that he ever saw on tv. No exaggeration: at only 11 months-old, he was completely devastated one evening when he asked for football and we had to explain that the season was over. Home of the K-State Wildcats, my alma mater, Bill Snyder Family Stadium sits practically at the end of my driveway. There is no missing the excitement from our house. The neighborhood becomes packed with cars and purple fans. In fact, in our location, we very easily can go from having no Saturday plans to having a crowd of hungry people over. That is why I like to keep a hearty, budget friendly vegetarian chili recipe on hand at all times. This is one of those kinds of recipes that is cozy and filling, but you can make it without missing a single down. It is a recipe that is quick to make and easy to keep on hand. Now a vegetarian recipe might not be the hearty football food that your family might expect. However, the black beans and the corn together create a complete protein, and the pumpkin puree in makes it thick and filling. It's perfect as a stand alone meal, or served over baked potatoes or chips. It also goes perfectly with this pumpkin cornbread recipe! -Ladle into bowls. Top with favorite toppings and enjoy! Can easily be cooked or kept warm in a crock pot! Just mix ingredients together about an hour before game time, and keep on a low setting. Turn to "keep warm" setting after 1 hour. This website uses affiliate links, which means that at no added cost to you, I get a small percentage of every sale. I do not endorse anything that I myself would not use. You can view my full disclosure policy HERE.Thank you. Today, my son and I went on a walk just because we could. We had a few minutes before lunch with nothing to do, and it's hard to spend a beautifully cool August day like today inside. We counted leaves and dandelions. The seasons are already changing, and there were far more leaves than dandelions today. After looking at the calendar ahead, I started experimenting with fall flavors a few weeks ago. This was a great decision. I love autumn, and I look for ways to incorporate the wonderful flavors year-round. My first success out of the oven: pumpkin cornbread. I wish you could smell my kitchen right now! It smells like everything you hope for in autumn. Pumpkin and spice all in a warm sweet bread. It bakes up like a savory cake. These sweet little pumpkin cornbread muffins were gone within hours of pulling them out of the oven! I added a little pat of butter on a couple, but it isn't necessary. They are sweet and moist all on their own. Simple enough to make on a weeknight, but also special enough to include with any fall get together. I anticipate making this recipe many more times this autumn. But, if you don't have a cornbread pan, a muffin tin will do. I also included instructions on how to make this in an 8x8 pan below the recipe. Preheat oven to 350 degrees Fahrenheit. Grease a muffin tin. Combine all ingredients in a large mixing bowl. Mix gently until combined. Using two spoons, gently fill each muffin cup until half full to allow room for the cornbread to expand. Bake for 12 minutes. Using a fork, gently check the center for doneness. If you would prefer a single cornbread loaf over muffins, pour batter into a greased 8x8 pan and bake 25-30 minutes. Check center for doneness before removing from oven. This website uses affiliate links, which means that at no added cost to you, I get a small percentage of every sale. I do not endorse anything that I myself would not use. You can view my full disclosure policy HERE. Thank you. We live a frugal life, on a budget, carefully keeping track of how we spend our money. Especially now that we live primarily on one income. If you ever find yourself in the situation someday where you are financially frustrated, even to the point of struggling to make ends meet, this is the book for you. And, let's be honest here. Almost half of Americans are still living paycheck to paycheck. There are a lot of people today struggling to make ends meet. So, if you feel like you fall into the category of financially frustrated, you are certainly not alone. My husband and I have a big ol' pile of student loan debt that we're working hard to slowly pay off. As I monitor our budget as we slowly pay down that debt, I certainly feel like I fall into this category! And, becoming financially frustrated could happen to any of us! Despite having no consumer debt, Erin Odom found herself standing in line for food stamps and walking into bankruptcy during her eighth month of her third pregnancy. She and her husband were careful planners who worked hard and took advantage of every opportunity that came their way, but through situations primarily outside of their control, they still struggled to put food on the table for their two daughters. Her story struck a chord because it could so easily be my own story. Actually, it could be the story of almost any young family! Years ago, before our son was born, my husband and I also sat through a financial course through our church. One of the first activities in the class was to put together a mock budget for a family making $50,000 per year. Adam and I looked at each other, and we knew we both were thinking the same thing: $50,000 a year?! We couldn't imagine having access to that kind of money! Budgeting would be SO much easier if we made that much money. But, improving our income situation felt impossible! We graduated from college at the height of the recession, and after months of unemployment, we were both grateful for our just-above-minimum-wage jobs, mine at a grocery store, Adam's as a para at a middle school. We were just making it. Barely, and by God's grace. Erin and her husband went through this exact example in a financial class in their church. Her husband was so emotional during the example that he spent the remainder of the class at the hall. I remember that moment. I wanted to be in the hall too. That was the moment where Erin, her husband, and their financial coach sat down a took a long look at their financial situation and came to only one conclusion: they had a serious income problem. The amazing part about Erin's story is that, despite living on a low income, they did not use credit cards or any other forms of consumer debt to help make ends meet. Instead, they turned to help inside their church, through community organizations and federal programs (like WIC), and learned to rely on God to provide using the money they hand in hand. In this book Erin shares tips and habits that enabled her family to turn their lives around, both financially and through a faithful dependance on God's provision for their lives. Her tips are GREAT! Especially when it comes to eating well on a budget. If you are interested in a free e-course created by Erin on eating well on a budget, sign up on her blog, The Humbled Homemaker. I signed up for it, and I highly recommend it! I eat on a budget, but I don't always eat WELL. For instance, with the bottom line in mind while grocery, I don't always avoid the "dirty dozen" because organic cost more. I know how important it is to provide my family with healthy, nourishing foods, and Erin's words have inspired me to put a little more effort into making sure we're even more careful about what we are eating. But, even more than Erin's fabulous tips, I enjoyed this book because it reminded me that God gives and takes away on His terms, not ours. Struggling to make ends meet, whether it's caused by an income problem or a spending problem, is mentally and emotionally challenging. It's so hard to pick yourself up off the ground without someone tossing you a lifeline. It's also spiritually challenging. It's so hard to put your faith in God when you feel that you are not being provided for. If that's you, this book could be your lifeline. And for some perspective, this journey is even harder when you're living in poverty, or just above it. And, it's especially harder when you don't live in a country like the United States with federal programs, like unemployment, food stamps, WIC, etc. to fall back on. More Than Just Making It will be released in stores and online on September 5! Click here to pre-order on Amazon today! Click here to pre-order through Target! Click here to check out the first chapter for FREE! It's that time of year! School supplies are back in stores, and the weather has started to cool down (just a little). And what better way to prepare for school than by praying for our kiddo's? As a kid I loved school, but this time of year is exciting, it's also scary. There are a lot of unknowns. Some teachers were harder or more strict than others. Sometimes I was placed in a class with my best friends, sometimes I was given an opportunity to make new friends in my class. This time of year is a time of new beginnings. New school year, new grade, new classmates. Let's not only help our kids start off on the right foot, and let's take an opportunity as praying moms to start ourselves off on the right foot too! Pray for our kids, and remind them of the truth held in scripture for new or scary situations. To receive a free printable for this, just submit your e-mail below! You will be signed up for my weekly newsletter and receive my meal planning kit for FREE! 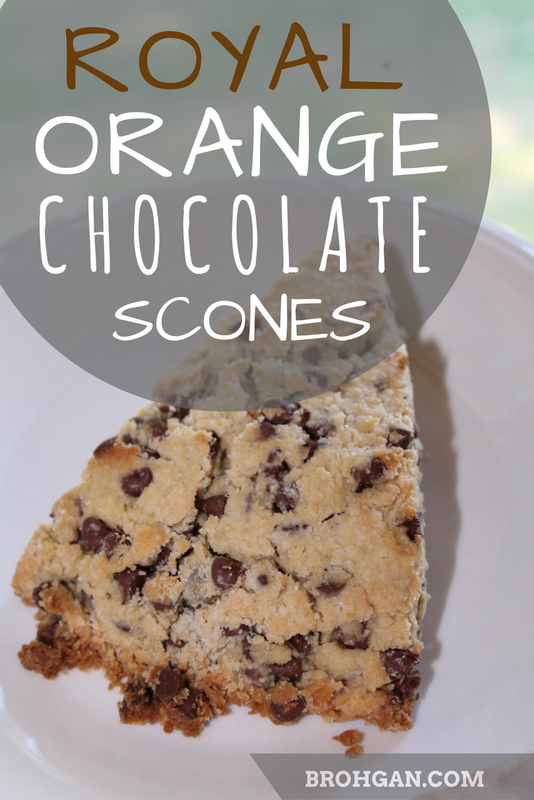 Simple chocolate scones sweetened with just enough orange juice. Easy recipe that will leave you and your family feeling like royalty! Tonight, while listening to a thunderstorm build outside, I quietly go through the motions of making a favorite scone recipe. The house is quiet. My husband busy in the other room, my son is asleep. It's just me, alone in the kitchen. Not even the dog peeks in. These scones were first baked for me by a lovely co-worker in a stressful part-time job in college. On Monday, she filled the afternoon by describing a craving she was feeling for these simple chocolate scones her family made, sweetened with just enough orange juice. On Tuesday morning, I found a batch of scones on my desk. Years later, remembering orange juice as a key ingredient, I googled until I found a recipe that looked similar, described as "royal" scones. Tonight, I'm making these scones for the second time this week. These scones graciously used the ingredients already found in the pantry, sans one small personal-sized bottle of orange juice. While the scones are being gracious, I am not. In my thoughts, I have a full list of complaints and wants: more money, more space, more success. Here I am again, going down this endless spiral. Be affluent. Be important. Be worthy. Be more. That's really where the struggle begins, isn't it? Inside of us? I take a look at the recipe, and realize suddenly that I have been quadrupling the amount of chocolate in these scones for years! It's not one and one thirds cup of chocolate chips (leaving the perfect amount remaining in the bag for those desperate parenting moments that require chocolate). No, the recipe calls for one thirds of a cup! And, BAM, just like that, I'm reminded of how sweet life really is. In my family, we have health, each other, shelter, plenty of choice homemade foods. Rich enough to enjoy scones made for royalty. My petition goes silent, as I pray a thankful prayer for the extra chocolate over the years. Simple chocolate scones sweetened with just enough orange juice. Preheat oven to 400 degrees Fahrenheight. Grease a cookie sheet. Wish first 4 dry ingredients together in a large mixing bowl. Cut butter into small pieces and then, using a fork or a bladed dough blender, cut the butter into dough until it resembles a course crumbs. Press dough evenly into the bottom of the mixing bowl, then overturn onto the greased cookie sheet. Use a large knife to cut into 8 scones (slice, like a pizza). Gently separate scones to allow space to bake evenly. I almost always add additional orange juice to help the dough hold together, but the amount required depends on how well the butter was cut into the dough. Once, I listened to a podcast about a working lunch which was served to a group of 40 world leaders who were gathering at the UN. Sam Krass, who had served as the Obama family's personal chef, along with a team of other chefs, served these world leaders, most of whom were presidents of their respected countries, a dinner made of trash. That's right, the entire meal was made out of perfectly good food that was intended to be thrown away out of NYC restaurant kitchens. We, as a culture, waste a lot of food. This includes my own kitchen. This week, I have been noting ways to use Zero Waste Cooking strategies in my kitchen. Are you familiar with Zero Waste Cooking? This is an term I encountered while pre-reviewing Erin Odem's book, More Than Just Making It, which will be released in bookstores in September (affiliate link). As far as I know, I haven't encountered this exact term before, but the idea behind it is very familiar to me. Zero Waste is a strategy that my mother and grandmother often used in their kitchens to stretch the weekly food budget. It's actually very common in kitchens around the world, although not so much in the U.S. these days. The idea behind Zero Waste Cooking is to use every food to its fullest potential. For instance, this lettuce. It's not bad or rotten, but it's wilted after spending several long days in the fridge. It would make a very sad salad. What do you normally do with lettuce like this? Do you just chop it into a chewy salad? I normally just do what my mom did: make Chinese hamburger for dinner. And soon, before the lettuce goes bad! The really nice thing about this dish is that it's easy to keep the other ingredients on hand. Frozen ground turkey, a box of beef Rice-A-Roni, butter, and water. Isn't it nice to have a back up plan for wilted lettuce??! But, at least you can stretch some overlooked lettuce from the back of the fridge instead of throwing it away! This easy recipe is a great Zero Waste Cooking strategy for using wilted lettuce! Heat ground turkey in large skillet over medium heat until cooked. Add butter and rice-vermicelli mix and sauté over medium heat until vermicelli is golden brown, stirring frequently. Slowly stir in water and 1/2 bag seasonings (to lessen sodium), and bring to a boil. Cover and reduce heat to low. Simmer 15-20 minutes until rice is cooked. Chop lettuce into bite sized pieces. Turn off burner, but keep pot on stove. Stir lettuce into pot and cover. Leave 1-2 minutes to allow lettuce to wilt. Plate, sprinkle with soy sauce, and enjoy! It's the Fourth of July, and I leave on vacation later this week. For me, rest and relaxation would never be possible without a big stack of books on the nightstand ready to be plowed through during the cracks of busy summer life. As mom, those afternoons of lazy beachside reading seem way out of reach, but I still find myself reading late into the night, sometimes hiding the light so I don't wake anyone else up. It makes me feel like a kid again! Included in this list are cookbooks, fantasy, Christian fiction and non-fiction. This is a LONG list? Can I get through them all??? I don't know, but I'm sure going to try! This trilogy was part of my Christmas present from my husband, and I'm loving it! Currently on book two. This book is perfect if you enjoy reading sci fi or fantasy books and are a fan of the Lord of the Rings but uncomfortable with some of the content in the Game of Thrones series. If I were to have a conversation about this trilogy in a college literature class, I would have quite a lot to say about the treatment of women in this book. "Aimée’s rural homestead upbringing, years working as a professional chef and everyday life as a busy mom led to the creation of the hugely popular blog Simple Bites . Raising three young children with husband Danny, Aimée traded her tongs and chef whites for a laptop and camera, married her two passions—mothering and cooking—and has since been creating recipes with an emphasis on whole foods for the family table, sharing stories and tips and inspiring readers to make the family– food connection on the Simple Bites blog." "Perfect for fans of the growing locavore movement and those who are empowered by the idea of "putting up" their own preserves, this book will inspire readers to start their own jam sessions as soon as the year's bumper crop of fruits and vegetables becomes available. Can anybody join the movement? We sure can!" It's been AGES since I've picked up any Christian fiction, but Terri Blackstock has produced several enjoyable reads for me. A friend recommended this, and I'm expecting it to be very thrilling (and possibly end on a cliffhanger...). I can't get over the fact that this book reads like it was written by my mom! I think it is because Alsup is an algebra teacher, just like mom! :D This book was sent to me by the publisher to review on the blog, and I'm about half way through it. Also sent to me by the publisher. Description below via Amazon. "When talking about race, it helps to have something specific to talk about―a story we can all wrap our heads around. In Meals from Mars, Ben Sciacca provides that story: two men from different worlds forced by circumstance to see and hear and consider one another. It is a novel that demonstrates the social challenges and relational potential for racial reconciliation." I'm reading this with a couple of friends. I initially borrowed a copy, but ordered it half way through the first chapter because I wanted my husband to have a chance to read it too! "Rejecting rigid rules and checklists that don't work, Dr. Kimmel recommends a parenting style that mirrors God's love, reflects His forgiveness, and displaces fear as a motivator for behavior. As we embrace the grace God offers, we begin to give it-creating a solid foundation for growing morally strong and spiritually motivated children." I used to work with international students at a large university, I am very aware of the importance of imparting a global perspective in my parenting! While Kansas doesn't exactly sound like a diverse place to live, when my son and I attend Baby Rhyme Time at the local library, as white US citizens, we are typically in the minority. Our neighborhood houses the majority of international peoples in our city, and I want to make sure that we are doing our part in keeping our eyes open and in creating a safe and welcome environment for our neighbors and community. I'm really appreciating this book, and I'm already feeling stretched outside of my comfort zone in many ways! "Give Your Child the World includes more than 600 children's book recommendations from around the world. 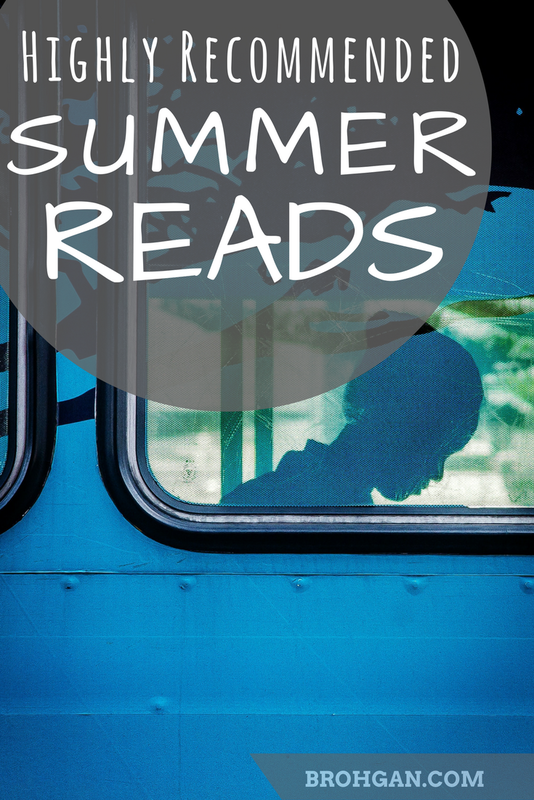 Reading lists are organized by region, country, and age range (ages 4-12). Each listing includes a brief description of the book, its themes, and any content of which parents should be aware. Parents can introduce their children to the world from the comfort of home by simply opening a book together. Give Your Child the World is poised to become a bestselling family reading treasury that promotes literacy, develops a global perspective, and strengthens family bonds while increasing faith and compassion." I'm so excited that this book exists, and I can't wait to read it! Gary Moreland has been extremely influential and encouraging in my writing life. Description via Amazon. "'Gary Morland is a gifted communicator who has learned many lessons the hard way. He grew up in a dysfunctional family and went down that road himself, bottoming out as a confused alcoholic with a wife, two daughters, and no idea how to change. God transformed Gary's life through his grace and the practical advice of wise mentors. Those lessons are passed along in this powerful and insightful book.' --John Fuller, cohost of Focus on the Family"
I followed Tsh Oxenreider's blog as she, her three kids, and her husband packed their lives into 5 backpacks took a year long trip around the world. Now she has published a book about this experience, and I know it will be a wonderful read! Description via Amazon. "At Home in the World follows their journey from China to New Zealand, Ethiopia to England, and more. They traverse bumpy roads, stand in awe before a waterfall that feels like the edge of the earth, and chase each other through three-foot-wide passageways in Venice. And all the while Tsh grapples with the concept of home, as she learns what it means to be lost—yet at home—in the world." Last but not least, this book arrived in the mail yesterday, and I am SO EXCITED! I am on the release team for this book, so I get to review it before it is officially released on September 5. 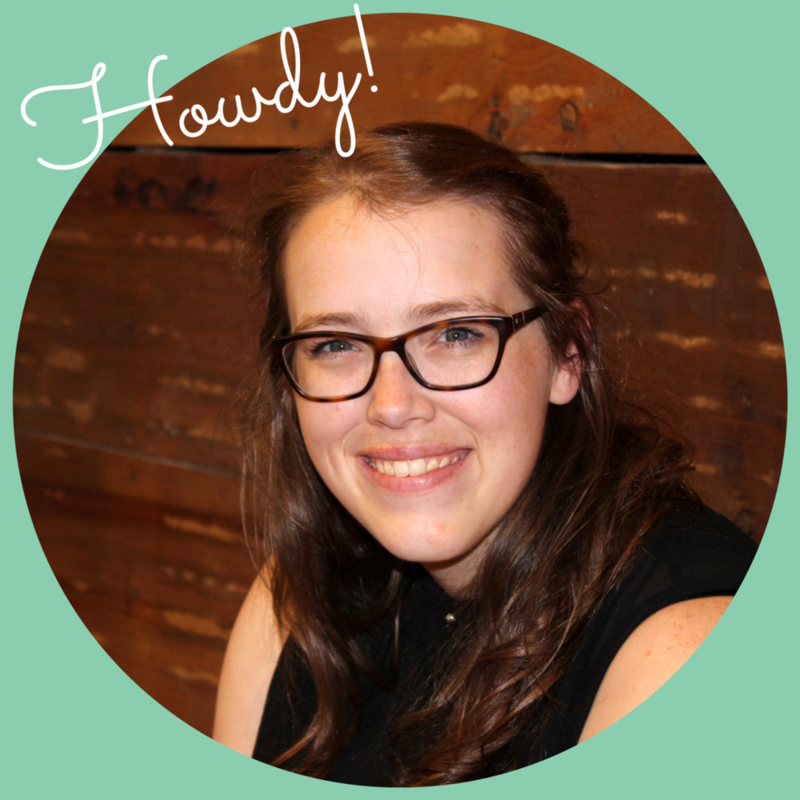 While you are waiting for the book to be released, check out Erin's blog, The Humbled Homemaker. Description via Amazon. "When you're trapped in a cycle of financial frustration, and you feel like you've tried everything only to end up with more month than money yet again, More Than Just Making It is your promise and pathway to thriving again. More Than Just Making It tells the story of their breaking point, as well as the triumph of their comeback. It took hard work, creativity, and faith in God’s provision to reset their bank account as well as their hearts, but ultimately they found a new way to thrive and freedom from financial anxiety. You can do the same. Learn how Erin and her family saved enough money to put $30,000 down on a home, buy a minivan in cash, and begin sending their daughter to private Christian school. More Than Just Making It will encourage readers to rise above their circumstances, empower them with money-saving tips, and reimagine the good life as God designed it outside the myth of the American Dream." I recently signed up for an email course about simplifying life… 30 days and 30 emails later, and my life was feeling a lot more complicated. Someone else telling me how to show gratitude, journal, be healthy physically and mentally, purge my closets, and avoid screen time. By the end of the course, I was so overwhelmed. Every new e-mail caused a twinge in my gut; I stopped opening them about a third of the way through. For the last decade or so, our culture has become obsessed with simplifying life. Resources are everywhere. Topics ranging from organization and planning techniques (keep stuff) to purging techniques (toss it). Along with those techniques come a entire new set of standards we aspire to meet. Combine that with a thousand Pinterest “to do’s” and that perfect Instagram images being bombarded at us every day and HOLY COW. It’s easy to quickly work yourself into a panic attack in the process of trying to have a “simplier” life. The thing is--and I don’t know why we as a culture haven’t caught onto this by now--life is different for everyone. EVERYONE. Even a simple life varies from person to person. You don’t have to “fit” to simplify. You don’t have to call yourself a “minimalist” or a “crunchy mom” or “thrifty” or “green” to live a simple, happy life. You really, really don’t have to be any of those things to simplify life in the kitchen. For me, what it all really boiled down to is this question: does my life currently align with my values? And, if not, what do I need to do to change to make that happen? What does simple living look like in the kitchen? In my kitchen, I have some very specific values that I aspire to. I want to take time to connect with my family every day. This means that we set aside some -- not all, but some -- evening time each night to sit around the table and enjoy a meal together. We pray together. We share the family news. It’s really not as romantic as it sounds. My one-year-old son rejects food by throwing it and usually demands whatever I forgot in the fridge (usually his cup of milk) the second I sit down. I have a needy dog who started begging for food the second she spotted me through the animal shelter cage bars seven years ago and hasn’t stopped. My introverted husband is usually unwinding internally from his socially demanding job while simultaneously listening to his extroverted wife lay out every monotonous detail of the last 9-10 hours. Sometimes we end the meal more frustrated and disconnected than when we began. That’s just how life goes sometimes. Overall, it’s worth the effort. Today at lunch, we had cereal and scrambled eggs. (There’s a lazy lunch idea if I’ve ever heard one!) We all sat there quietly spooning raisin bran into our mouths and collecting ourselves after a busy morning. It’s moments like this. I want my son to be exposed to a variety of textures and flavors in his first years of feeding himself. I have been blessed with an adventurous toddler. I think I fed him two bites of that infant cereal before he grabbed the spoon and started feeding himself. Then, a couple of days later, he started grabbing for whatever was on my plate. He knew that whatever I was eating had to be better than that mush I was pushing toward him. But even an adventurous eater has to be encouraged. We went through a phase where he was only eating words he could sign. Cracker, apple, milk. Getting out of that rut of him always eating the same foods was a struggle. I want us to eat with health and nutrition in mind. When it comes to nutrition, the rules in my kitchen are simple: everything varied and in moderation. Carbs, fats, protein in various forms and in moderation. Dessert in moderation. Sodium in moderation. Frankly, it’s more fun to embrace a creative, balanced plate! At the age of 28, why am I so conscious of this? Two generations ago on one branch of the family, almost none of my family survived past the age of 55. Heart disease was rampant. One generation ago in another branch, diabetes grabbed ahold. It feels like we're genetically set up for failure here. I look to my parents and my husband’s parents, both of whom are very conscious eaters, and I can see how their food choices have assisted them in staying healthy. Our bodies are much more likely to succeed in the battle to stay healthy if we give them the tools they need. I want to live within our means and on budget. Part of reality of living a simple life as parents is that we choose to live on one consistent full-time income. Yes, I do work a little from home, but there is nothing glamorous about our income or our lifestyle. I choose to stick to a grocery budget and stretch every dollar because I chose this life. Because me staying home right now is important to me, to us, and we love it! So, here's the question I ask myself often: are the choices in my own kitchen lining up with the way I really want to live? Summer is officially here! 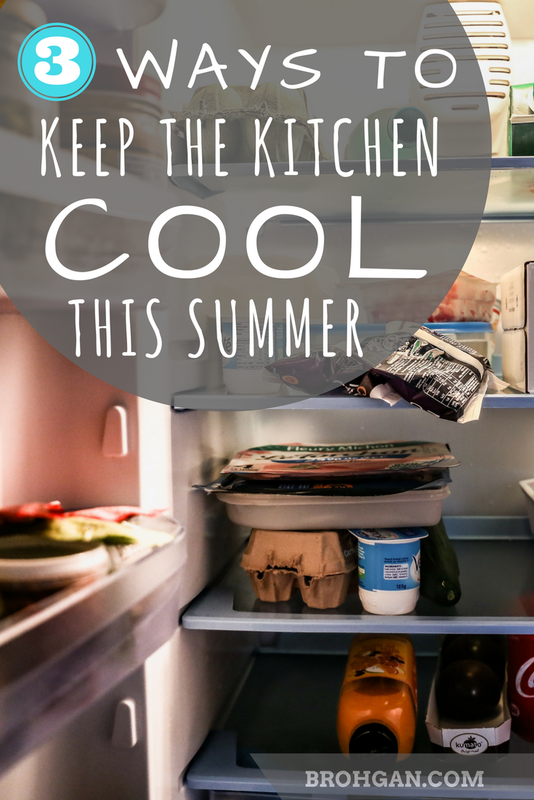 Beat the heat by using some strategy in the kitchen! 1. Avoid the oven and stovetop! Use countertop appliances instead! Small countertop appliances like the microwave, rice cooker, and slow cooker are your best friends this time of year! Give the range a break, and plan your meals for the week around these smaller appliances. I particularly like to use a rice cooker with a steamer basket (aff) this time of year! I load rice in the bottom, meat and veggies in the top, and let it all cook at the same time! It's quick and versatile for healthy weeknight dinners! Salads, sandwiches, Current favorite at my house: a kid friendly version of an antipasto platter. On a hot day, a variety of our family's favorite fruits, vegetables, cheeses, hummus, and/or deli meats make for a really fun meal! You can make it as healthy as you desire by being choosy about what you include! Keep the house cool by cooking on the grill! Then, when you are done, come back in and enjoy the A/C! "WHAT'S FOR DINNER? "Uggh, even just typing that question out makes me stress out a little. I've been there, on a busy weeknight, when all of a sudden a room full of hungry eyes lock onto you like an interrogation spotlight. Are you overwhelmed by meal planning and grocery shopping? Or are you just winging it on any given night? I know I have been this way before. I finally decided to simplify. You have no idea how much I wish I would have simplified my meal planning years ago! I know that cooking at home seems more complicated, but it's really not. Why? It's healthier. Eating at home means you have better knowledge of what you are putting into your body and control over the size of your portion. It’s cost effective. There was a point in our marriage where my husband and I were eating well at home for less than $40 a week. You read that right -- it only took two President Jacksons cover 21 meals. These days, we are also concerned about using wholesome ingredients, so we traded out the boxed mac and cheese for a produce coop and local meats and still spend well under $100 a week for a family of 3. Cooking and eating together at home strengthens relationships--whether it's friends, family, acquaintances. If your meals are in sync, your lives will be more in sync. Self-esteem booster! Choosing a healthy meal can positively affect the way you see yourself, which may be one of the most important benefits of all. I simplified grocery shopping with my Minimalist Grocery List. A well-stocked pantry is the first step to simplifying your meal prep. But uggggh I do NOT like grocery shopping. I REALLY don't like having to go back to the store at the last second. I REALLY REALLY don't like wasting money on groceries. So, I came up with a system, and IT WORKS! I call it the Minimalist Grocery List! What's special about this list? --It’s easier on your budget by allowing you to stockpile the items you use while they are on sale. --Save time grocery shopping by limiting yourself to easy to find ingredients. --MOST OF ALL, save time on planning meals and cooking because you will already have everything you need in your pantry! You will already have EVERYTHING you need in your pantry! And that feels GOOD. I created a Minimalist Meal Plan schedule. A well-stocked pantry is the first step to simplifying your meal prep. The second step is having a reliable dinner schedule to default to. Don't forget to make a meal plan every week! Every Saturday, after picking up the produce from my co-op, I sit down and make a plan for how we are going to use that food in our meals that week. I post the plan on the fridge so that everyone in the family is able to access it. We are more successful at eating at home when we start the week with a stocked kitchen and when everyone is made aware of the plan! It’s easy to default to a few quick meals, but I try to use the practice of reflection to expose my family, especially kids, to a wide variety of flavors and textures and to encourage us to eat a variety of highly nutritious foods in moderation. My questions change over time and in different life chapters. Take some time to think of one or two questions of your own to add! Did I utilize a wide variety of vegetables and fruits in a variety of colors? Did I use more fresh foods than packaged foods? Did I primarily use lean meats and protein sources? Was my family exposed to a high level of sugar or sodium throughout the week? Did everyone in the family feel like they were able to contribute to our meals together in some way? Above all, meal planning is an opportunity to serve your family and provide a safe and consistent place to gather together daily. There is much more to life than meal planning. I have to remind myself of the purpose of shopping for and preparing tacos on any given Tuesday. It's not because I love to shop or because I love to cook; it is because I love my family. I love spending time with them. I want them to eat nutritious food and have healthy, strong bodies. I crave the dinner conversation, even though the majority of the conversation in this chapter of life is interrupted with "No no, please don't throw that on the floor." And, as a Christian, I ultimately find my perspective in this Bible verse. Maintain a larger perspective. If you are feeling overwhelmed, take some time (yeah right, who has time... but seriously, try) to spend some time listing some things you are grateful for about this meal planning process. Contemplate what is meaningful to you. Life is fragile and can change in an instant, so keep track of what you are thankful for in everything today, in this moment, before it is passed. I'll be your cheerleader! You can do it! Grocery shopping and meal planning does not have to be a difficult, expensive, and time consuming process. If you are overwhelmed by meal planning, I can help. Here’s how: my blog, Brohgan.com, is committing to making delicious meals from a standard list of common ingredients that can easily be stockpiled in a pantry. Would you like to be friends? Me too! If you provide me with your e-mail below, I will send you a weekly newsletter on Fridays. This newsletter includes a meal plan for the upcoming week and some encouraging weekend links. If you sign up below, my gift to you is a quick, printable guide to assist you as you begin your minimalist meal planning journey! Subscribe to my weekly newsletter & meal plan and receive your *free* minimalist meal planning guide! Moms, cooking with a baby or toddler is not easy. In fact, this is a chore that seems nearly impossible most days. Here are some tips that might help! The core sounds simple: cooking dinner. But, the reality of the situation is that moms are trying to complete a task that requires a moderate amount of focus in a room FULL safety hazards. The hot pots, pans and knives are of course a concern, along with the chemicals under the sink, but with littles around there are countless minor accidents and injuries in the kitchen involving the hard non-cushioned flooring, the countless furniture corners at a toddler's head level, and all the cabinet doors and drawers for pinching fingers. Since my son was born, I doubt I have spent any significant amount of time in a kitchen without something happening. Whether it was him as an infant demanding a series of cluster feeds right in the middle of making dinner, him throwing toy after toy off the high chair tray at 9 months, or him now, at 15 months, trying to crawl into the dishwasher to retrieve a favorite cup, it's always something. 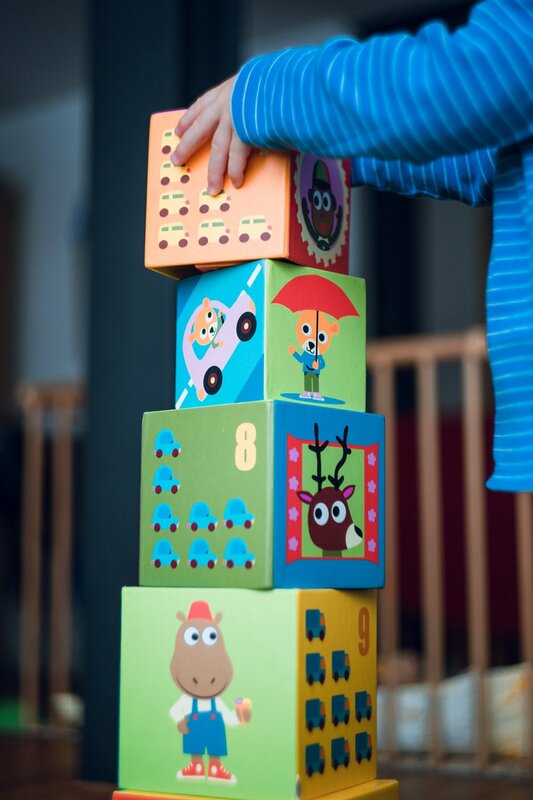 Just as you start to find a strategy that works, a strategy that keeps those little hands busy and that little mind occupied, these kids grow up and change a little bit, just enough that yesterday's perfectly formulated plan no longer applies. Every day is different. Every. single. day. And that's awesome! Because when I think back to all of those daily kitchen moments over the course of the last 15 months, I realize that I was watching my son grow every day right before my eyes. It's messy and stressful, but that's so cool! But it also makes the simple chore of cooking dinner DIFFICULT. Cooking dinner is a chore that you can't just skip, either. At least, not most nights. There is now an additional mouth to feed (and diaper and take to the doctor and put through college etc. etc.). Eating at home is a financial decision for most families, and getting take out every night is just not realistic. I don't know why it was so difficult for me to ask for help with cooking. When my son was first born, I would try to be the one who made dinner every night. I enjoy cooking. It's a creative outlet and it's stress relieving for me... normally... before I became a parent. But, in those crazy early baby days, making dinner would ALWAYS seem to be timed with a feeding. So, cooking became the thing that I did while someone tiny was grouchy with me. I was pretty hesitant to give up the only chore that I actually enjoy. I was brand spankin' new to this food blog thing, and I was relishing every minute in the kitchen possible. So, I had to ask my husband for help. There were a few days that I would try and do the cooking while he attempted to pacify the unhappy bebe. Often we would switch half way through. The point is that I often needed help. There were days when cooking dinner was something that required two people to accomplish, and I had to ask for help in some way every night. Snacks are a game changer! Hallelujah, there came a day when the baby grew up and SNACKS became my help. Do you know how long it takes an older baby to get one of those rice puffs off the high chair tray and into their mouth? Usually long enough to at least put something frozen into the oven. Involve babies and toddlers in the shopping process. This is going to sound easier than it is, but involving my son in the grocery shopping process early on and continuing through toddlerhood was a good decision for me. First, it has built his food vocabulary. I remember holding up all the produce for my son to examine from his infant carrier (and feeling like a crazy woman while doing so). Now, when he sees a banana, he starts flailing around making the sign and just about jumps out of the cart. I narrate the names and flavors and colors and anything else I could think of about every food we see. I remind him why we don't buy cookies EVERY time (just most times... haha). I tell him why I am buying it. "This green zucchini squash is going to be for dinner on Wednesday." Also, it makes new foods, or foods we don't eat often, a tiny bit less foreign. When Wednesday comes around, and we pull out the squash, it's a tiny bit less foreign (even though it will, inevitably, be tossed onto the floor... all part of the learning process). And yes, there are some trips to the store where I'm tired and grouchy and I don't do this. And, those trips are usually quick and more difficult. Just a note: after learning the hard way, I really prefer building vocabulary at the store vs. at the dinner table. We hit a rut where my son would only eat the foods he knew the words for and he was asking for, which was only fruit bars, apple sauce and bread. Now I just plop something in front of him and tell him it's dinner without telling him any of the names for the foods. He's much more willing to try "dinner" than 10 foods with new names all mixed together. Hand out age appropriate tasks. When it comes time to cook the squash on Wednesday, I usually try to involve everyone in the family in some way. My son can help me wash it in the sink. And, after I cut it, if I need the pieces transferred into a bowl, he could probably help with that. When he was younger, I might have him hold one of the big spoons, or he would help get the pot out of the oven drawer. When he was even younger than that, old enough to be alert, but not old enough that he was mobile, he would just watch from his bouncer on the floor while I talked to him. There is always an age appropriate task. It takes patience and some creativitiy to think of it. It also takes some willingness to let go of the adult agenda and just have fun together. Yes, handing out these tasks takes A LOT of time. I can wash a zucchini in 10 seconds, but with help it might take a minute, if all goes well. Every day is different, and every dinnertime is going to be different. You could cook frozen chicken nuggets every evening for a year, but it's still going to be nearly impossible to do some days. 1. I always ALWAYS have a quick back up on hand. Usually, that back up is bread with peanut butter. I've said it before: peanut butter is the glue that holds this family together. 2. I limit myself to trying new recipes. If you subscribe to my newsletter and receive my weekly meal plan, you probably notice that I typically try a new recipe on Tuesday. I spend the rest of the week cooking things that are familiar staples, many of which I have written about here on the blog. 3. Some chores can be saved for tomorrow. There are some nights when dinner, bath, bed goes bang bang bang, and all of a sudden the house is quiet and I'm exhausted. Except, nobody remembered to scrub that one pan. THE PAN CAN WAIT UNTIL MORNING. I promise you, that one friend of yours with a spotless house will never know (if they knock on the door, just hide it under the sink). You're a mom of littles, and that takes some serious energy. Allow yourself the time you need to take care of yourself while you are able. Best of luck to you, friends! If you have an more tips that are working for you, would you please share with everyone in the comments section below? These green beans with a sweet garlic ginger Chinese restaurant glaze are always a crowd pleaser, but they're also great to eat at home, because they're also terrific reheated! We have an ongoing debate in my house: what cut of green beans is best? French style? The skinny whole bean? The squat cut version? But no matter who wins the green bean cut debate, we always ALWAYS want green beans to taste like the magical green beans at a Chinese restaurant. Do you want to know what the secret is to the magical Chinese restaurant beans? No, really, do you want to know? So, I use honey. I try to lighten up my version of the beans at home a little, although it still is pretty sweet. We really don't need more sugar in our lives! I try to keep this recipe fairly casual. I taste and taste again until I like the flavor. I find that the flavor can vary greatly depending on the quality of ingredients you buy, especially the soy sauce, the fish sauce and the ginger. A lightened up version of those Chinese buffet green beans you love! Pour about a tbsp of olive oil into a large skillet or wok. Warm over a medium heat. Cover with cookie sheet or lid until beans are warmed. Stir occasionally to avoid sticking and encourage even cooking. When beans are no longer frozen, turn the burner down to medium-low and add the remaining ingredients. Stir to combine ingredients evenly, and then stir occasionally so that the sauce doesn't burn. Personal pita pizzas smothered in a garlic three cheese mixture (ricotta, mozzarella, parmesan) and topped with a thin decadent layer of pesto. Such a simple recipe. This personal pizza only takes minutes to assemble and bake. Perfect for a quick meal or even as a snack! There are days when you just need to partake in something distinctly adult. Some people turn to wine. Some people turn to coffee. Some people turn to chocolate. These pizzas never fail to amaze me with their simplicity and their elegant flavor. Plus, pizza = fun. I need more fun in my life, always! Smothered in pesto and a ricotta-mozzerella-garlic mashup, this pizza is a recipe passed down from my mother to me. On busy days, these are a must make for me. After my last final of college, I remember coming home to an empty house and quickly making myself one of these. It's really the ultimate comfort food! Especially when things are feeling rushed or stressful. It only takes minutes to assemble and uses ingredients that are often already stocked in my fridge. And, if you use foil like me, making this only dirties one bowl. ONE BOWL. How often are you able to quickly make yourself a warm, cheesy comfort food without leaving a trail of dishes behind??! ALMOST NEVER. Pop it in the oven until the garlic-y cheese ooze and the pesto glistens. Then enjoy as slowly as life allows! Personal pita pizzas smothered in a garlic three cheese mixture (ricotta, mozarella, parmesan) and topped with a thin decadent layer of pesto. Such a simple recipe. This personal pizza only takes minutes to assemble and bake. Perfect for a quick meal or even as a snack! Combine first four ingredients in a medium sized bowl with a fork until combined. Line a baking sheet with foil, and set pitas out on pan. Using fork, place half of the cheese mixture onto each pita and gently smooth evenly across surface. Spoon a tsp of pesto onto the middle of each pita. Gently smooth across cheese until there is an even coating. Bake in oven for 10 minutes, or until cheese is melted. Allow a few minutes to cool, add salt/pepper/parmesan as desired, then enjoy!